To date, Canada’s energy sector has faced billion-dollar revenue losses due to insufficient pipeline capacity. And two announcements this week underscore how Canada is missing out on much-needed opportunities as a result. First, U.S. sanctions against Venezuela’s state-owned oil firm announced Monday are a reminder of how Canada’s need for new pipelines is critical. Specifically, the recent sanctions will likely result in a shortage of heavy crude supply at refineries on the U.S. Gulf Coast, so many countries will compete to fill this gap. However, due to the lack of sufficient pipeline capacity, Canada will not be able to boost its oil shipments to U.S. refineries to take advantage of these recent sanctions. Instead, as analysts predict, Iraq and Mexico will likely benefit in the race to replace Venezuela’s heavy crude. And again, this is an unfortunate trend. Insufficient pipeline capacity and the associated foregone revenues have cost Canadians billions in recent years. According to a recent study, Canadian heavy oil producers lost $15.8 billion last year in revenues compared to what other producers of similar products received. That’s roughly 0.7 per cent of our national economy lost because we were unable to deliver our product to international markets to secure better prices. This loss of revenue has far-reaching effects. It means less investment in Canada, less job-creation for Canadian employers and workers, and less overall prosperity. To make matters worse, a new Parliamentary Budget Officer (PBO) report released Thursday raised concerns about the federal government’s $4.4 billion purchase of the Trans Mountain pipeline and expansion project. The PBO estimates the value of the infrastructure purchased by Ottawa is between $3.6 billion and $4.6 billion. Therefore, the government likely bought the pipeline and expansion project “at the higher end” of what it’s worth, according to the PBO valuation, which should concern taxpayers on the hook for the pipeline. In addition, the PBO report warns that any further delays in the construction timeline could significantly devalue the project and negatively lower the final price the federal government could fetch when eventually selling this project. Specifically, the PBO report found that a one-year delay in the completion of Trans Mountain would reduce the project’s value by $700 million. The report also estimated that a 10 per cent rise in the estimated $9.3 billion construction costs would decrease the pipeline’s value by $453 million. And unfortunately, delays are likely to continue as the government grapples with a Federal Court of Appeal ruling. 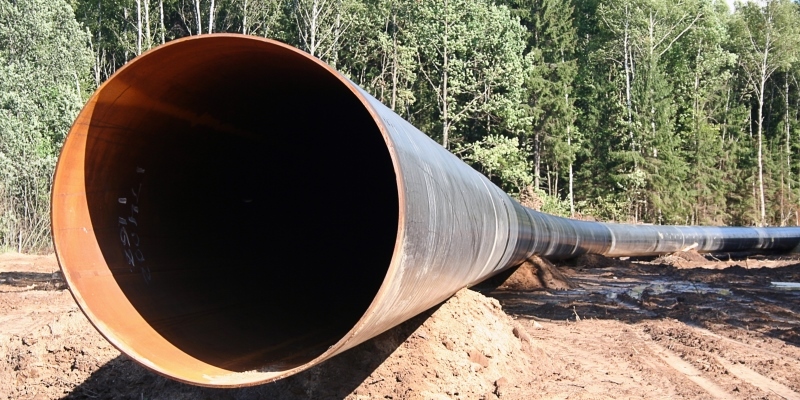 The reality is that Canada’s insufficient pipeline capacity is resulting in billions of dollars in forgone revenue and missed opportunities for Canada’s energy sector. Clearly, the federal government should recognize the urgent need for new pipelines in Canada.